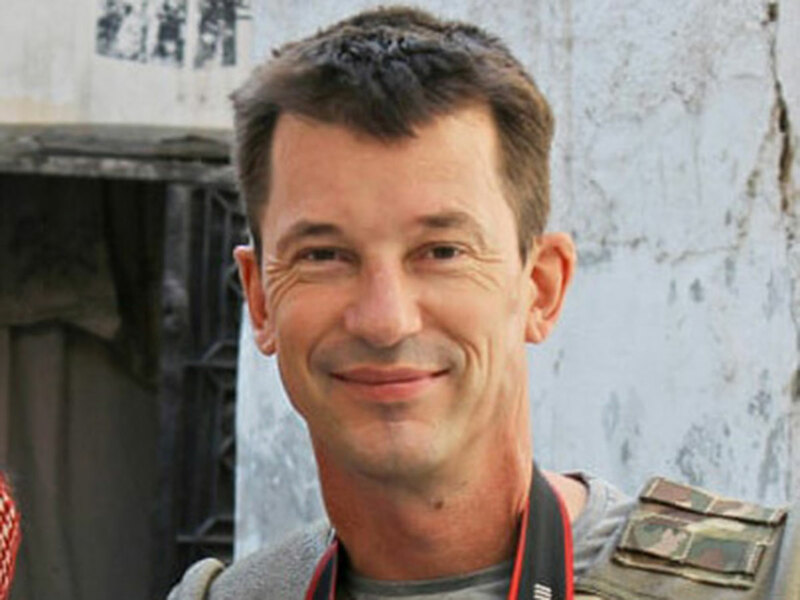 London: John Cantlie, the British journalist captured by Daesh more than six years ago, is still alive, the Home Office has said. The security minister, Ben Wallace, in a briefing with reporters, did not elaborate on his justification for the UK government’s belief that Cantlie is alive. He declined to give details of where British intelligence believes Cantlie is still held by Daesh. The amount of Daesh-held territory in Syria and Iraq has shrunk vastly, but the UK, contrary to Donald Trump’s US administration, does not believe Isis has been effectively defeated. Cantlie, captured by Daesh in Syria in 2012, fronted a series of propaganda videos for the group but had not been seen alive since a video was last released in 2016 . He was then shown in Mosul, northern Iraq. Mosul was freed from Daesh control last year after a bloody siege. Wallace would not have made his remarks without a firm piece of evidence. The UK could be relying either on intercept evidence, or some fragment provided from the growing number of former Daesh fighters returning to Europe. Cantlie’s sister Jessica had previously appealed for direct contact with the group holding him. There was no immediate comment from his family. In 2014, his 80-year-old father Paul issued a video appeal from his hospital bed for his son’s release. Shortly after that appeal, he died from complications following pneumonia . In July 2017, reports emerged in Iraqi media, based on interviews with Daesh fighters, claiming Cantlie had been killed in an air strike sometime during the battle to recapture Mosul. But in October 2017, a French Daesh fighter told the French magazine Paris Match that he had seen Cantlie “seven or eight months ago” in Raqqa, the Daesh stronghold in Syria. In January, the Syrian Democratic Forces, fighting to defeat both the president, Bashar Al Assad, and Daesh, stated Cantlie may still be alive in Hajin town inside the group’s then last pocket in the eastern Syria province of Deir Al Zor. Cantlie was captured in November 2012 alongside the US reporter James Foley who was subsequently beheaded. The Free John Cantlie campaign has continued to try to keep his memory alive with increasingly heartfelt appeals for someone to come forward and provide information on his whereabouts. It said on Twitter: “We are aware of the current news circulating that John Cantlie is alive, whilst this is not substantiated at present, we continue to hope and pray that this turns out to be true. Thank you for your continued support”. The foreign secretary, Jeremy Hunt, recently wrote to the foreign affairs select committee saying that he believed Daesh “had lost almost all the territory they once held”, but remained a threat. He was responding to Trump’s decision to withdraw US troops from Syria, a move that has privately infuriated the UK military and many policymakers in Washington. The US acting defence secretary, Patrick Shanahan, said last week it was weeks away from capturing all remaining Daesh-held territory. The annual worldwide threat assessment issued by US intelligence agencies stressed thousands of Isis fighters were still active in Syria and Iraq.